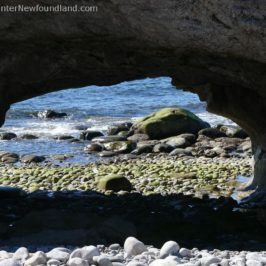 Channel Port-aux-Basques, situated on the southwestern tip of Newfoundland, is the entry point to the province by sea. 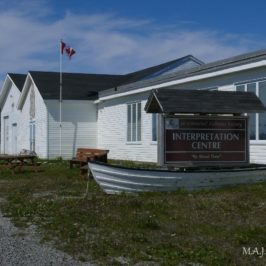 When you get off the ferry, there’s over 900km of road open to you, but wherever you go from here, you must first traverse Wreckhouse, an area of austere beauty, intriguing history and some of the fiercest continual winds ever known. It’s the unique geography that makes this area legendary. 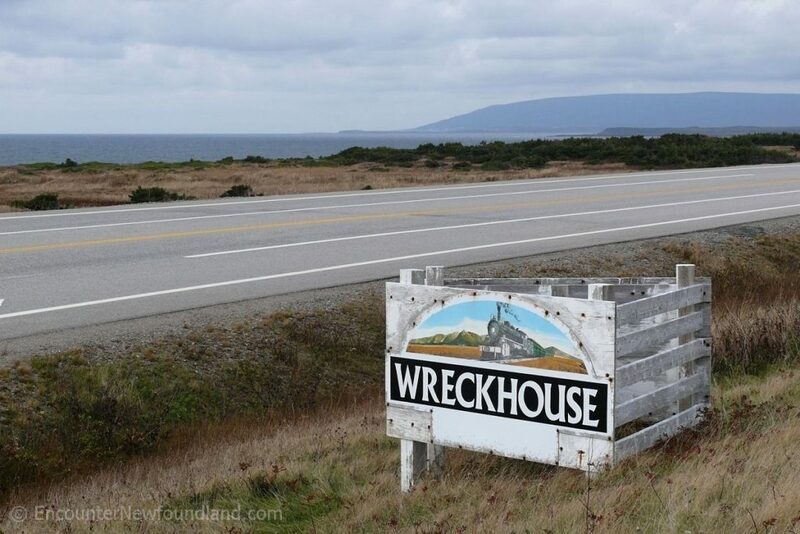 Wreckhouse is a large expanse of flat, barren land that runs between the Long Range Mountains and the ocean. Southeast winds, pushed by offshore storms, funnel through the mountains, building up pressure as they are squeezed into narrow gulches in the rock. Once released into the valley, the winds quickly gain speed, sometimes exceeding 200km per hour. That’s the equivalent of a category two hurricane! Sound frightening? 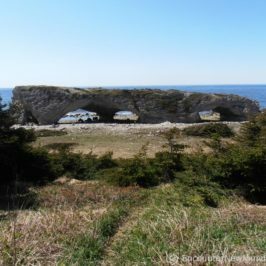 It can be, yet residents from both Channel Port-aux-Basques and the nearby Codroy valley travel this section of the Trans Canada highway each day without mishap, and hundreds of visitors drive through Wreckhouse each year without even knowing of its existence. The south-easterly winds that cause the Wreckhouse effect grow strongest during the winter and spring months, so if you’re visiting in the summer, chances are you won’t get caught in a serious gale. When the winds do blow, navigating this stretch of highway becomes an adventure in turbulence. Those who don’t need the adrenaline might prefer to stop over until the winds die down. 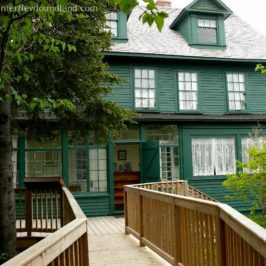 Like most everything else in Newfoundland, Wreckhouse has a rather interesting history attached to it. In the days when trains still ran here, the Wreckhouse miles were a stressful haul for the engineers. In 1939, weary of having their trains blown off the tracks, the rail company hired a local trapper to advise them of the wind conditions. Lauchie MacDougall lived at Wreckhouse, and he claimed the uncanny ability to ‘smell’ the wind. Given a telephone and twenty dollars a month salary, Lauchie became a wind dowser, warning of approaching southeasters until his death in 1965. Lauchie delayed hundreds of trains and saved many lives during his employ as a ‘human wind gauge’. Today, high-tech instruments have taken the place of human perception when it comes to predicting a gale, keeping locals and travelers safe from the perils of Wreckhouse. 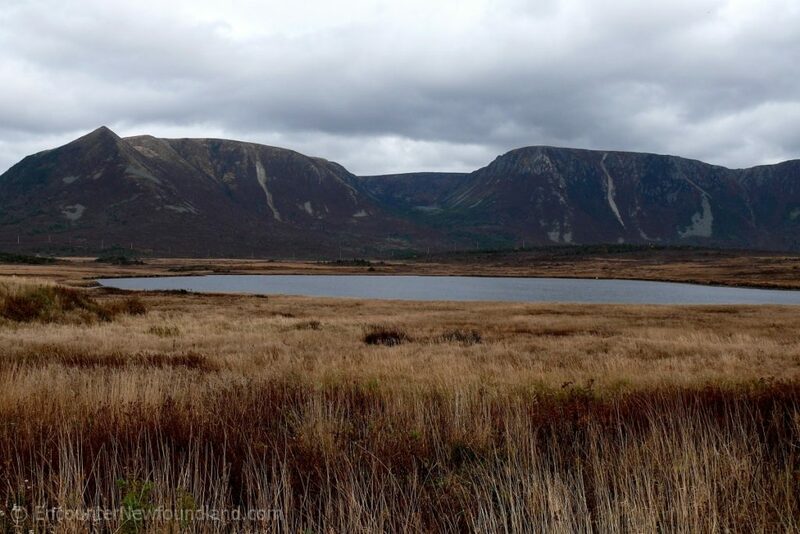 The wind isn’t the only awe-inspiring thing about the Wreckhouse area. The scenery is striking in its austerity, and as breathtaking as the wind itself. Craggy mountains—the highest on the island at 1700 feet—rise sheer and dramatic from the valley floor. From their base, vast barrens dotted with tuckamore—trees stunted and grotesquely twisted by the wind’s force—stretch away to the greater vastness of the Atlantic Ocean. 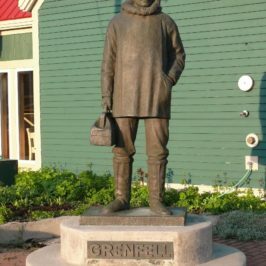 For those who enjoy walking or pedaling, the Newfoundland Railway bed has now become the Newfoundland T’Railway, part of the Trans Canada Trail. It’s a nicely groomed path that runs the entire length of the island, beginning in Port-aux-Basques. 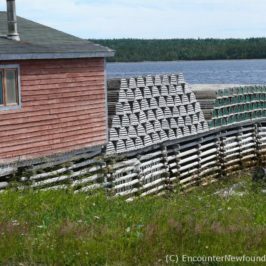 On foot or by bicycle, the T’railway offers a more immersive experience of Wreckhouse. Whatever your mode of transportation, you’ll be traveling through a beautiful, rugged panorama shaped by time and fierce elements—a sweeping display of Nature’s savage artistry, here where the land ends, where the mountains, sea and sky meet, and where the wind blows.